my dad (Gabriel)—one name only. “Take her back!” My mother shouted. I felt my mother’s pulse race. so it was and shall be. (Until I appended Leotta to the string). Named for the saint and the archangel? who thought I had nice hands. 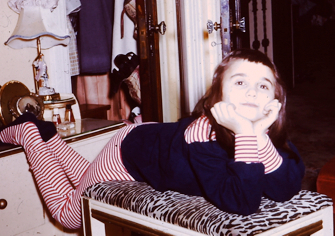 AUTHOR’S NOTE ON THE PHOTOGRAPH: Here I am at age five pondering the ramifications of my name—and probably thinking, no matter what the name, I am a Princess. NOTE FROM THE AUTHOR: This is the story of my name—told again and again by my mother, but with the addition of my own neonatal self’s perspective. My creative process is to let the idea find a form and work at it. But I don’t wait for inspiration. I try to write every day. Rewriting, polishing—that is the art and real fun of it for me. I like to leave a smile or in some other way encourage my readers. I write non-fiction, (stories for the newspaper) fiction, poetry, essays, and plays. I also read widely. 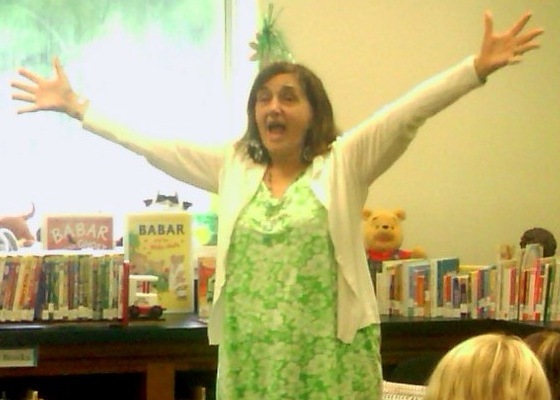 ABOUT THE AUTHOR: Joan Leotta is an author and story performer. Her books include Giulia Goes to War, Letters from Korea, and A Bowl of Rice. Visit her at joanleotta.wordpress.com.